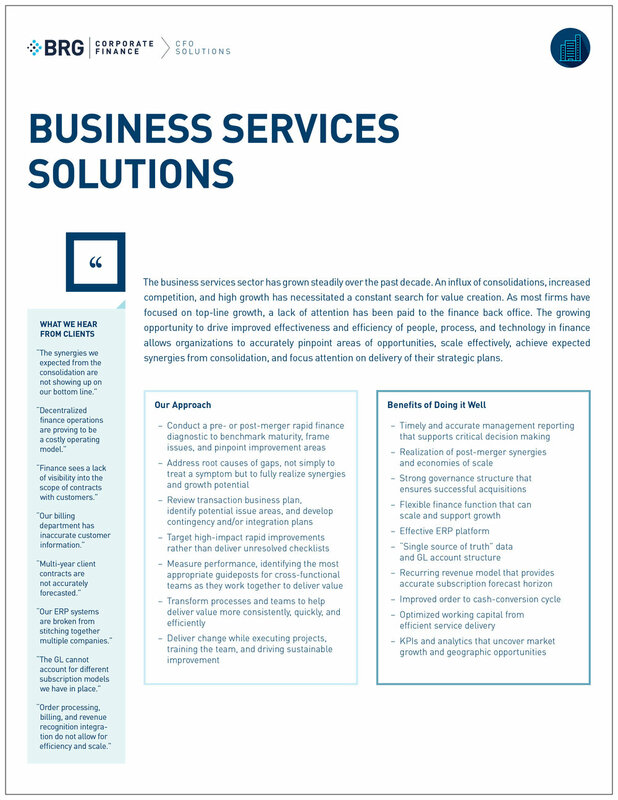 The business services sector has grown steadily over the past decade. An influx of consolidations, increased competition, and high growth has necessitated a constant search for value creation. As most firms have focused on top-line growth, a lack of attention has been paid to the finance back office.